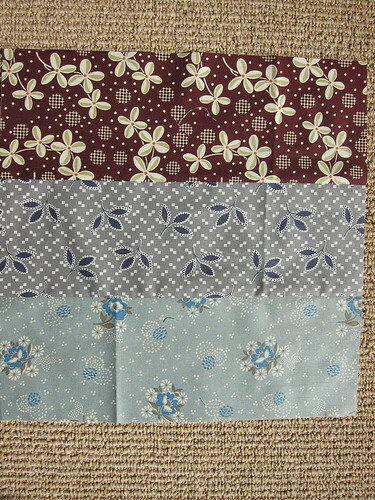 Most of the blocks are a play on nine patches or flying geese, so I continued the nine patch theme with these three. 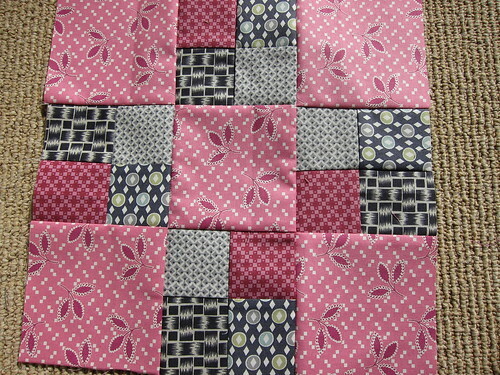 I think I’m up to 12 Hope Valley blocks, and I hope to have more before making a quilt out of these. 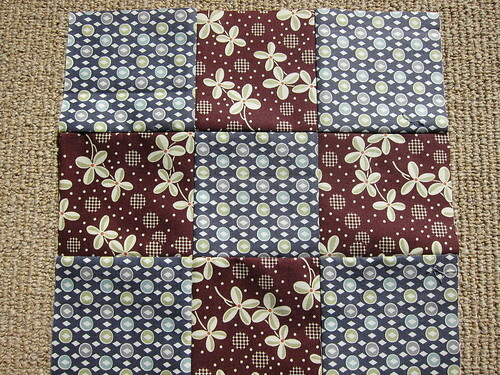 I’m thinking that I want rows of blocks with some solids mixed in. Every time I lay it out I want to do something different, though, making it hard to decide what to do. This entry was posted in Quilting and tagged Hope Valley. Bookmark the permalink.